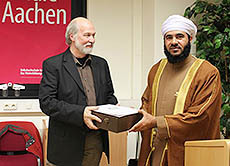 The adult education centre (Volkshochschule) in the German city of Aachen hosted the exhibition of Religious Tolerance in the Sultanate of Oman from November 7 to 30. On the occasion of the opening ceremony Mohammad bin Said Al Mamari, Scientific Adviser at the Minister’s Office and Supervisor General of External Exhibitions, said that the exhibition of religious tolerance in Oman is a continuing opportunity, a renewed effort and on-going quest for religions, cultures and peoples who love goodness, happiness and security. 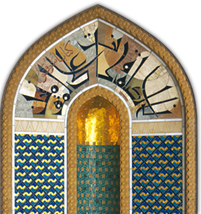 Al Mamari said the goal of the exhibition since the beginning has been to find a common ground among peoples and civilisations, and that this ground gets support and presence of various institutions. He added the exhibition has enjoyed since its inception in April 2010, a new gush of positive interaction, started simple and modest, but now has grown and expanded to a wide range of workshops for a better mobility in the relations between religions and cultures in countries visited by the exhibition so far in Germany, Spain, Netherlands, Britain, Belgium and Estonia.